It is my honor to announce that Mario Fusco will be taking over as the new Drools Project Lead. Mario is a Principal Software Engineer at Red Hat, working on the development of the Drools core. He has vast experience as a Java developer, and among other accomplishments, was nominated a Java Champion in 2016. Mario previously created and led the open source Lambdaj project and has been involved in (and often leads) many enterprise-level projects in several industries ranging from media companies to the financial sector. 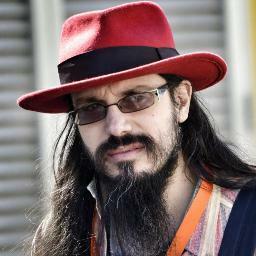 Mario is a frequent speaker at conferences, like the Red Hat Summit, Devoxx, Voxxed, JavaOne, LambaWorld and others. Mario authored several articles for InfoQ and DZone, and co-authored the “Java 8 in Action” book published by Manning. His tweeter following is another hint at his popularity, and if you would like to keep up with his latest insights, I suggest you hit that button. Mario joined Red Hat in 2011 to work on the core engine of Drools and has since made invaluable contributions, including the development and improvement of the latest core algorithm. Among his interests are also functional programming and domain specific languages. If you ever have the opportunity to interact with him in person, you will experience firsthand how nice of a person he is and how pleasant it is to have a talk with him. You can even offer him a beer, he will like that, but whatever you do, make sure you follow proper Italian etiquette (or is that Mario’s etiquette? ): no pineapple on your pizza and no cappuccinos after meals. Please join me in congratulating Mario on his new role as the Drools Project lead.